Our Kits feature our top single oils and top blends. These sets are perfect for anyone just starting with essential oils. 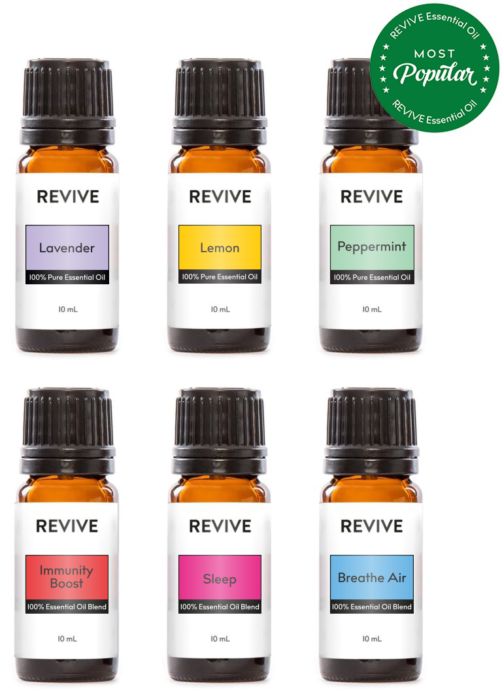 Whether you are looking for the staples in an essential oil collection like Lavender, Lemon, and Tea Tree, or you are wanting to try Revive’s exclusive and powerful blends, these kits are for you. Second to NoneI use EO Daily, for every member of my family down to my dog. I've been with YL for over 7 years. Thanks last year I have had to budget my spending especially on oils due to loosing my job. That caused me to start running out of my daily oils as I could only buy 1 or 2 at a time, not to mention taxes and shipping! And then being penalized if I could not place a monthly order. Don't get me wrong, I do Love YL, I really haven't had a bad experience with them. And I also tried a few other companies and as soon as I opened their bottles, they went straight to the trash as they were cheap and of sub par quality! REVIVE has allowed me to buy multiple oils or 1 oil, free shipping and receiving my orders within days has been amazing!! As soon as Revive has a few of my other blends I use I will no longer be part of an MLM. REVIVE YOU HAVE BLESSED MY LIFE, that k you for being a transparent company and providing oils that are amazing!! Best switch ever! !Love revive and the quality of the oils! I totally trust them and I’ve told everyone I know about Revive! Being a nurse and former YL / Doterra rep/ user, I’m proud to say I have no issues with any oils! Love love love the free shipping as well! Second to NoneAny one who is a true oil user knows how amazing they are and how life changing Quality oils are. They also can recognize the cheap stuff at a single whiff of it. I started using oils 6 years ago after 1 too many visits to ER with my son for his asthma. I was desperate to find something to help him besides all the steroids and treatments. And my other son who has Touretts and help his ticks. I found YL and it was a God sent. I would spend the money each month to get my 'free' oils, then last year my husband ended up in the hospital and money for oils was no longer an option ( as I did not want to "build a business" ) and I tried buying a few other oils from companies that sounded good but as soon as I got them they went straight to the trash as they were cheap and poor quality. I would buy a few oils but non of the ones I wanted or needed as they were too expensive. Then I found Revive... I ordered a few oils the same day as I placed my YL order, guess which one came sooner... And with free shipping ... And with PURE Quality... REVIVE. I searched out the reviews with 1,2 Stars.... A broken bottle that was replaced, free of charge and with no shipping...REALLY!! I've had a few leaky bottles with YL and yes they replaced them. Another for "slow shipping" please. Another for wanting their oils from the dollar spot... You can keep your dollar spot oils and their chemical toxins... Not true oil used reviews.... REVIVE YOU HAVE MADE A BELIEVER OUT OF ME AND I LOOK FORWARD TO TRY ALL MY FAVE YL BLENDS BY REVIVE!! Massage Therapist LOVES Revive oils! !I have been involved off and on with both Young Living and DoTerra. There are certain oils I love from both so I have always been hesitant to try others that said they were "comparable to..." I tried Rocky Mountain Oils and liked some of their oils but again they just aren't the same and the prices seem to be going up and the bottle sizes going down. I stumbled across Revive when I was looking for a comparable blend to DoTerra's Whisper. I ordered Mrs. after I compared ingredients and oh my...I was in love as soon as I opened the bottle. I will NEVER go back to MLM essential oils again. I am using Revive oils in my massage sessions and my clients absolutely love them too! MIND BLOWN!! !Thank you so much Revive family! Finding you after hours/days of research and finally making my first order! Got my first order today (free, fast shipping!) and I am blown away by your product! I am (or shal I say WAS) a loyal Young Living member. Not anymore! Recive’s oils live up to, if not surpass my expensive MLM oils!!!! It was like Christmas morning!! I can’t wait to put all my new oils to use! I am now kinda upset that I discovered Revive after I realized the middle man marketing scheme that is Young Living and DoTerra!!! Thank you for oils for people on a budget! You are helping so many people who want to try oils but not break the bank! I am so happy and very satisfied with my oils! I never leave reviews but I felt I needed to on this one because I also reached out to “Lauren” who responded to me in like 10 minutes with a question regarding my order! I’m screaming on the mountain top to all the people to switch to Revive! Thanks so much!! Love them!I started with young living and loved their oils! But not their prices. A relative told me about revive so I decided to try them out. I am happy to say I love them just as much as YL!!!! Also the shipping was faster and free!!! Goi g to order Tumeric next. Can’t wait! 30ml bottlesI love that Revive has 30ml bottles of my most used essential oils! Great products and great serviceI’ve ordered a number of times and love the products. Ordering is easy and shipping is fast! Recently, I had an issue with a missing package (on the mail end, not Revive end) and the customer service representative answered my question quickly and offered a great resolution! WOWWhen first stumbling upon revive essential oils I was skeptical they were supposed to be able to come up with Blends like those available from Young Living and doTERRA. I swear by Joy essential oil by Young Living and stress away. After doing my research and quality control and looking things up online I decided to try it. The Valor is identical to Young living's. Unbelievable I will never go back the joy is just as good if not better I cannot tell a difference same with the stress easy. I was a skeptic but now I am a believer. I had already started cutting MLM out of my life but needed it for the joy essential oil and the stress away essential oil. The Zen and calming is also identical to peace and calming. Money back guarantee don't waste your time, try this. What's not to LOVE?I started using EO from DoTerra about 5 months ago. Got a lot of information from their distributor in my area. Then I found REVIVE online and took a chance on them. They met all the same criteria I had been using for oils and their PRICES were SO MUCH BETTER. Then add FREE shipping and FREE returns and Lauren for questions and service. It's a WIN WIN that I tell all my friends about. Leaving YLI have been with Young Living for almost a year now. My biggest complaint is the shipping. I also think it is a scam when they say they are out of stock of something then offer it for free if you order $400.00 worth of product. They say its because they may run out fast. Every time they do a promotion like that, they have oil left over and it goes into Quick Order only. They also said Golden Rod is a seasonal thing and not available through quick order, only if you order 400.00 worth of product. NO THANKs! I ordered Lavender and Orange from Revive and received it two days later. Oh my gosh! They are both wonderful. I am now a Revive customer. I just hope they come out with something like YL's Dream Catcher. SO IMPRESSED!!!!!!!!!!!!!!! !I was a dedicated Young Living EO junkie. One day on Pinterest I ran across Revive and decided to have a look. Like all of the other comments, the price really got my attention. I can't believe how affordable they are - especially since YL is out of control on pricing. We as consumers are brainwashed in believing that if it costs more it must be better. NOT TRUE. I definitely don't want to pay for the MLM practive at YL, but their oils are good so I looked past it. I live in Germany and have an APO address. My YL orders take 2 months at a minimum to arrive. With the price I paid for their oils you would think they would do better. So I decided to place an order with Revive. My decision point on staying or leaving YL would be how long it took to get to me from the moment of order. Well Revive - you win!!!! I placed my order on 4 April and it arrived today - 11 April!!!! That is amazing! YL claims that it can't be done with an APO - you proved them wrong! I just opened each bottle and from the initial scent - they are identical to YL oils. The only reason I will remain somewhat connected to YL is for their Thieves Home Cleaning Solution - but other than that nothing. I'm a Revive customer from here on out! Luv luv luv reviveI was thinking about selling the other 2 name brand oils, and I ordered from revive at a fraction on the cost and the oils are amazing! Awesome OilsI am so happy with my purchase from this company. The oils are amazing!!! The price and quality are second to none. I will continue to use this company in the future. I love the free shipping and the quality customer service. Revive reviewI was Leary at first but when I got my first order I was pleasantly surprised at the quality of the oils and the fast shipping. I will and have ordered again since. Love love loveI love Revive oils. I stopped the nonsense with Doterra and now tell everyone I know about Revive. It is more important to help people than to make money off them. I will never switch back!! Thanks Revive!! Only rating ease of order for nowI like the things I'm reading here and decided to order. I only ordered one bottle of lavender because that is what I am in immediate need of. My favorite thing is I was ABLE to order just the one thing I need now. I also loved that I did not have to pay a "membership" type fee in order to get the price offered. I love the fact that they do have bundles but sometimes one has a budget and absolutely can only get what is needed. I am looking forward to getting and using my order and I hope I have found a place I can continue to return to for future orders. Love your oils!! Love your customer service! !I have been working with essential oils for years. I use these for health benefits and also just for fun. Your oils are grest and your customer service is wonderful, fast and efficient! I had a small problem, e mailed it to them and I had a replacement before I even knew it! Keep up the good work. Great Quality!I am so pleased with these oils! I can now get great quality oils without breaking the bank! I had been using YL oils, but I didn't like the mlm and having to pay for S&H. Revive oils seem to be just as authentic, and they have great customer service and free shipping! So many, little moneySo glad I found Revive EO. Ive been adding to my arsenal from the big babes slowly cause they were so expensive. But with Revive, I get great oils at a fantastic price & their effectiveness is just as good if not better than the others. What are the benefits of REVIVE CBD? REVIVE CBD is an all natural and safe way to alleviate Pain, reduce Stress & Anxiety, and Sleep better at night. Which REVIVE CBD should I choose? REVIVE CBD Oil is our best seller. It is perfect for first time CBD users. Our 10 mL bottle contains 166+mg of CBD while our 30 mL bottle contains 500mg of CBD. In both bottles, you will get 8.3mg of CBD per serving (10 drops). REVIVE CBD Oil – Extra Strength is best for those that are experienced CBD users or those with severe symptoms. This bottle is double the dosage of the CBD mentioned above, containing 333+mg of CBD per 10 mL bottle and 1,000mg of CBD per 30 mL bottle. In both bottles, you will get 16.6mg of CBD per serving (10 drops). REVIVE CBD for Pets helps our furry little friends have access to the same high quality full spectrum hemp extract humans enjoy, but at a lower strength and dosage to care for their digestive systems. Our 10 mL bottle contains 83+mg of CBD while our 30 mL bottles contains 250mg of CBD. In both bottles, we recommend a serving of 1 drop (.42mg of CBD) per five pounds. REVIVE CBD Oil Chocolate Mint is another one that is perfect for first time CBD users, that want to add some chocolate flavoring to their CBD!Our 10 mL bottle contains 166+mg of CBD while our 30 mL bottle contains 500mg of CBD. In both bottles, you will get 8.3mg of CBD per serving (10 drops). REVIVE CBD Oil Chocolate Mint – Extra Strength is perfect for experienced CBD users or those those with severe symptoms, that want to add some chocolate flavoring to their CBD! This bottle is double the dosage of the CBD mentioned above, containing 333+mg of CBD per 10 mL bottle and 1,000mg of CBD per 30 mL bottle. In both bottles, you will get 16.6mg of CBD per serving (10 drops). How do I use REVIVE CBD? REVIVE CBD Oil can be used internally or topically. Use daily at any time of day, on an empty or full stomach. Some people feel the change right away. For most people, it takes 5-10 days. Once you do feel the change, it generally takes 20 minutes to one hour after ingestion or topical use and the effects can last for 4 to 8 hours. Taking CBD sublingually (under the tongue) is the best way for CBD to enter the bloodstream and offer stress/anxiety relief while also helping with sleep issues. 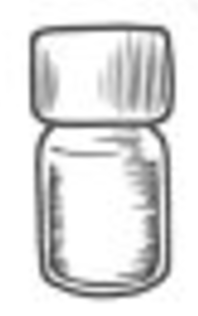 To use internally, pour 10 drops sublingually and wait 60-90 seconds before swallowing. Taking CBD topically provides targeted pain relief. This is useful for joint pain, arthritis, muscle pain and inflammatory skin conditions. Cleanse the skin where you want to apply the CBD with lukewarm water and skin-friendly soap. Rinse with lukewarm water. Take 10 drops of REVIVE CBD and rub it into your skin with slow, circular motions. Keep rubbing until the product is fully absorbed. There is no need to dilute as it is already pre-diluted with Fractionated Coconut Oil. To penetrate the skin, more liberal use of CBD might be required. This is why we recommend taking CBD sublingually. Our recommended dosage of 10 drops is a good starting point. If you aren’t feeling the desired effects, increase dosage. With REVIVE CBD For Pets, we recommend starting at 1 drop per 5 pounds. If your pet isn’t experiencing desired effects, increase to 2 drops per 5 pounds. You can have them lick it straight from a spoon but if they don’t like it, you can mix it in their food or water. Who should use REVIVE CBD? REVIVE CBD Oil is the all natural, safe way to to alleviate pain, reduce stress, soothe anxiety, and get better sleep at night. Anyone who struggles with these problems should consider REVIVE CBD Oil. Unlike prescription drugs, you can’t get addicted to REVIVE CBD Oil. Why is CBD Oil suddenly so popular? Over the last few years, thanks to some amazing new discoveries about how CBD can help people with severe conditions like epilepsy and Parkinson’s disease make truly miraculous turnarounds, CBD has really entered the spotlight. The more that patients and studies confirm what it can do, the more the world is watching as CBD’s massive potential continues to be unlocked. CBD, short for cannabidiol (pronounced canna-bi-dial) is a natural, safe compound found in the cannabis plant. Cannabis actually contains 80+ similar compounds called cannabinoids. Cannabinoids are in every plant and inside the human body – we humans create cannabinoids naturally. The combination of CBD and these cannabinoids is referred to as full spectrum hemp extract, which is the distillation method we use. This produces what is called the “entourage effect” where the combination of CBD and other cannabinoids delivers better results. The more we learn about CBD, the more it seems poised to revolutionize medicine as we know it. Where does REVIVE CBD come from? REVIVE CBD comes from the flowers and leaves of the hemp plant. While REVIVE CBD is not an essential oil, we take the same care for quality in sourcing organic hemp grown in the USA. REVIVE CBD is gluten free, vegan, non-GMO and organic. This is the highest quality CBD oil from full spectrum hemp extract, not from isolate or fractionated cannabinoids. This oil is extracted using total CO2 extract, yielding the highest quality extraction free of solvents rich in CBD and other cannabinoids that help deliver the better results. REVIVE CBD is 100% Organic Full Spectrum Hemp Extract, Peppermint Essential Oil and Fractionated Coconut Oil. Our founders started REVIVE with one mission: Make the highest quality essential oils and plants accessible and affordable to everyone so everyone could afford to live naturally. We’re proud to get the healing power of CBD into the hands of people who need it and to do so affordably. Yes, REVIVE CBD Oil is completely legal in all 50 States in the United States. Yes, you can take REVIVE CBD Oil with you on airplanes. Can I take REVIVE CBD while on prescription drugs? Please consult your doctor to determine the proper dosage. Will I get high from REVIVE CBD? The reason you get high from marijuana is due to the effects & high percentage of THC—but other cannabinoids (like CBD) don’t get you high at all. REVIVE CBD Oil is safe to use and does not get you high. All full spectrum hemp extracts have a small percentage of THC in it. Less than .3% to be exact, which cannot get you high. It is very unlikely you will fail a drug test if you use REVIVE CBD. Having said that, everyone’s body metabolizes differently so it isn’t guaranteed that you will not fail a drug test by taking CBD. I have more questions, where can I ask them? Please email us at [email protected] and we’re happy to answer your questions. Are REVIVE Oils & Blends 100% Pure Therapeutic Grade? Yes. We use REVIVE Essential Oils everyday ourselves, with our kids and families. So quality is of paramount importance to us too. All of REVIVE’s Oils are 100% pure therapeutic grade, free from any additives, adulterants, fillers, synthetics, or dilutions. They are of the highest quality. Are REVIVE Essential Oils Organic? REVIVE Essential Oils are either organic or wildcrafted (gathered from plants that grow in the wild). REVIVE Oils are sourced from locally owned farms around the world. REVIVE Essential Oils are then distilled, tested, and bottled in small batches in the United States. Are REVIVE Essential Oils safe to ingest? What do you mean by FREE RETURNS? We love REVIVE Essential Oils and think you will too. We’re so confident, we offer free returns. Simply return your opened or unopened bottles for a full refund within 100 days of purchase, no questions asked. We pay the cost of return shipping too. We distill fruits, flowers, resins, trees and spices, nontoxic ingredients you can understand. Rest assured our Essential Oils and Blends are of the highest quality. Just check the GC/MS. Get free shipping on every order. If you don’t love our essential oils, we’ll give you a full refund. No questions asked. We don’t have any middle men selling our product. It is direct to consumer and so we can pass the savings on to you. Revive Essential Oils are steam distilled and of the highest quality. You can blend it with lotion, add drops to a bath, put on your pillow, freshen a room with a spray and more. Do not directly ingest. Check out some of the reviews below from real people just like you who purchased Revive EO and love it!